One can spend a lifetime mastering an instrument; the violin for example. But, a percussionist begins with a multi-faceted view of the musical world and an enticing array of instruments from which to choose. 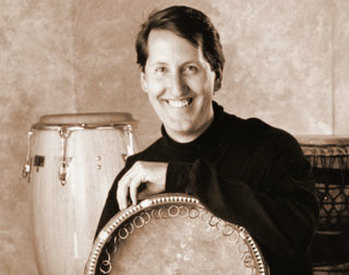 Armed with his innate curiosity, John has explored the rhythmic traditions of Africa, the Middle East, India, Indonesia and Cuba. Along this journey he has not only mastered a staggering variety of instruments, he has developed and applied techniques which allow him to create sounds never before heard. This dedication to exploration and innovation has led to a stellar teaching career and performances around the globe including: Rome, Florence and Milan, Italy, concerts all over North America, Canada, Russia, Poland and Estonia. Perhaps the greatest tribute to John's accomplishments is the success of his students who have gone on to become formidable educators, professional musicians and composers.